If you want to know about the wildlife of the Caithness area and where to go to see it, then visit the Dunnet Bay Natural History Display. There is plenty hands-on material for children to enjoy; a good collection of sea birds, mammals and whale skulls and information on the seashore and other habitats in the county. The Highland Council Ranger Service (North Caithness) use this as their base and provide a programme of guided walks and events. From the car park enjoy Dunnet Beach. You can walk for miles or simply wander at a more leisurely pace. Opening hours Every afternoon 2-5 pm. (Apart from Saturdays). May to September. The display is upstairs and there is no lift. There are public toilets downstairs. Admission free. 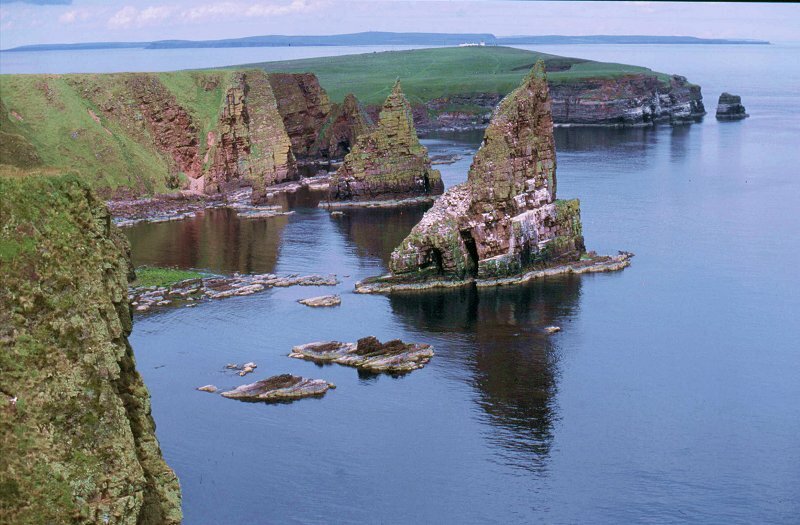 This is a three kilometre walk (six both ways) along the north coast east from John O’Groats to Duncansby Head Lighthouse and then on to the massive rock stacks ‘The Stacks of Duncansby’. Description The walk starts at the harbour. Follow the path along the foreshore looking out for Seals, Eider Ducks with their chicks in mid-season,or a host of other sea birds. The path rises up and continues along the top of the bank through two Kissing Gates to a burn frequented by Otters but rarely seen. Over a style, across the burn bridge and you are at Roberts Haven – a sandy beach which leads you to the Ness of Duncansby. This is open common grazing, and the best route is along the top of the beach head – but do not forget to look out for ‘Groatie Buckies’, a small cowrie shell once used as a currency. Round the Ness you come to Sannick Bay, from here there is a climb to Duncansby Head Lighthouse car park. You can now see the Stacks to your right. 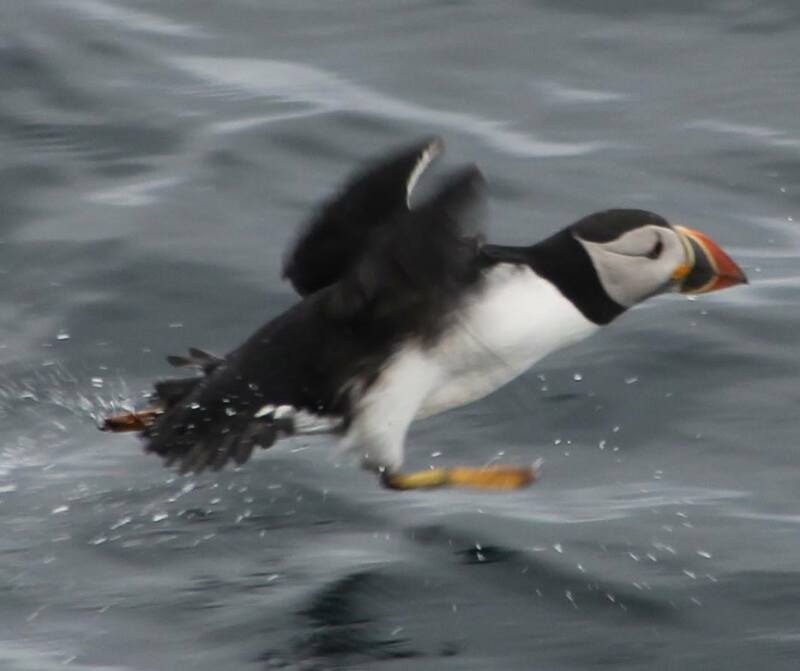 Follow the fenced cliff edge round to the ‘Stacks’ and marvel at the numerous seabirds that nest during the breeding season. You can return via the road from the lighthouse, or the way you came.